DRILLHAM'S Raff Angus Stud was a big winner at the Sydney Royal Easter Show this week when among a slew of awards, it took out the Supreme Angus Exhibit title. The 31-month-old bull, Raff Empire E269, weighed in at a hefty 1170kg and was the largest of all breeds at the show. It took out the title over more than 200 other exhibits and was also named Senior and Grand Champion Angus bull. The Raff Angus team also walked away with Reserve Senior Champion Angus bull for their bull Raff Flash F187, first and second in the prestigious "Pair of Bulls" class as well as being named most successful Angus exhibitor. 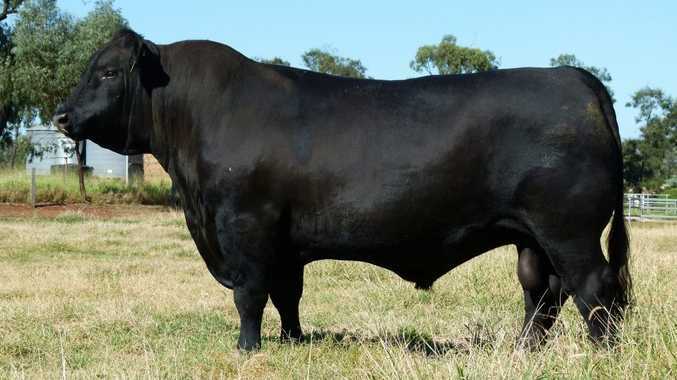 "This was Empire's first show for 2012 after a successful year in 2011 winning 12 supreme inter-breed championships, including the Melbourne Royal Angus Feature Show in September," David Raff said. Mr Raff said the bull would be kept by the family for stud duties. One of the bull's first calves, an eight-month-old heifer, recently sold for a whopping $17,000 to a South Australian buyer at the family's annual female production sale last month.